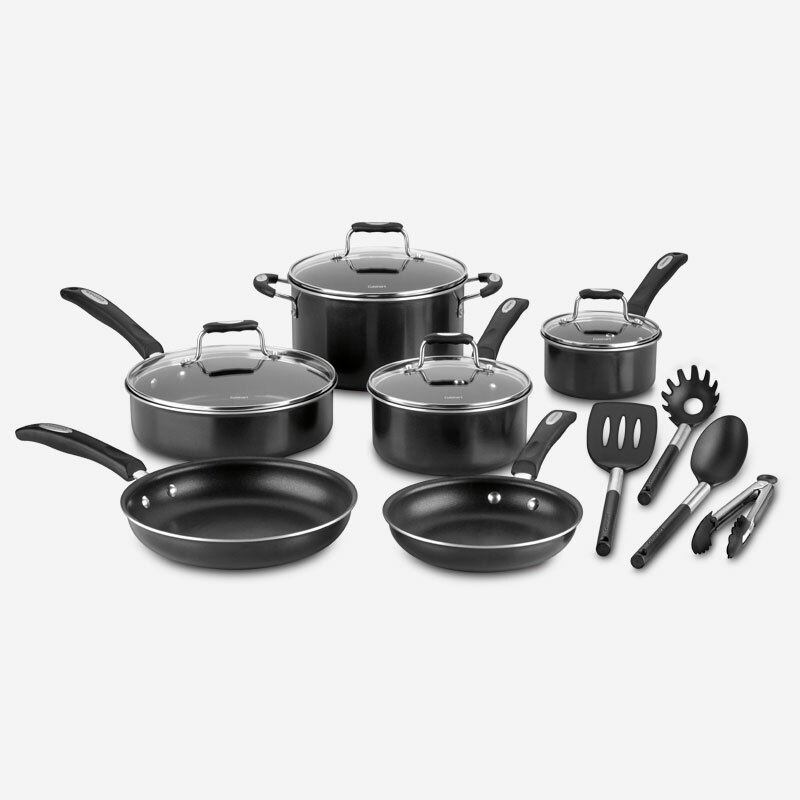 Prepare virtually anything with the Cuisinart® Aluminum Non Stick 14 Piece Cookware collection. The pure aluminum core provides quick and even heat while the premium nonstick surface provides lasting food release and easy cleanup. 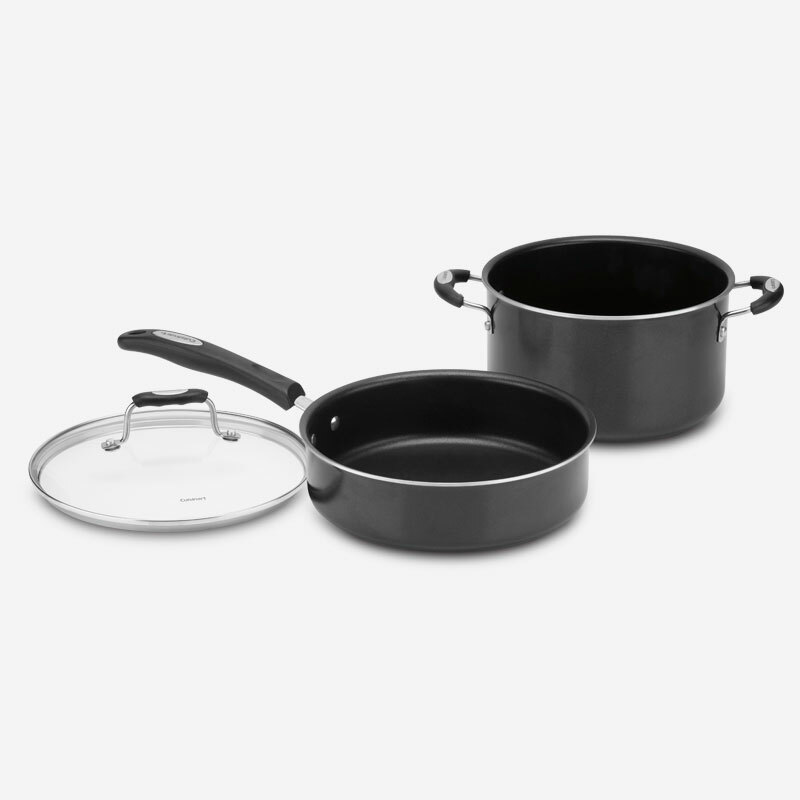 Set includes: 1QT Saucepan w/ Cover, 2Qt Saucepan w/ Cover, 3Qt Saute Pan w/ Cover, 5Qt Stockpot w/ Cover, 10" Skillet, 8" Skillet, Solid Spoon, Slotted Spoon, Slotted Turner, and 9" Tongs. 23.03" x 14.56" x 8.66"
23.81" x 15.35" x 9.84"